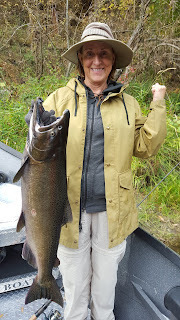 The Klamath River Fishing has been heating up and we have been seeing a lot of adult fish. I have been fishing for a month and a half strait and every day I am seeing fresh fish. I have been getting fish that have been feeding on eggs for a couple of weeks and fish that have just showed up for the party skinny and mean. Its been a weird and different year do to low and warm water conditions. But the fish are still here and we are waking and staking fish in the net. Sorry for the delay in the klamath river fishing report, we have been really busy fishing. The salmon season is running a little late this year so we are still seeing lots of salmon in the holding waters around the spawning areas. 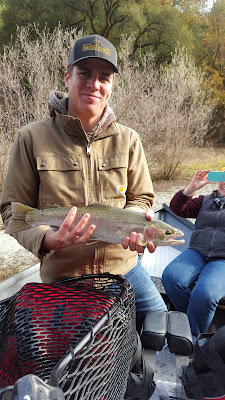 We have been getting lots of bites on lures and bait, and have been getting a few nice steelhead in between. We have boats with open dates for next few weeks so let go fishing.